I’m one of the co-founders of Truece. If you are here, you may be experiencing divorce in some way. I’m sorry for what you’re going through. I know how uncertain and terrifying it can feel to suddenly find yourself navigating life, money and parenting alone. At Truece, we all know how it feels because everyone involved with Truece has also been affected by divorce. 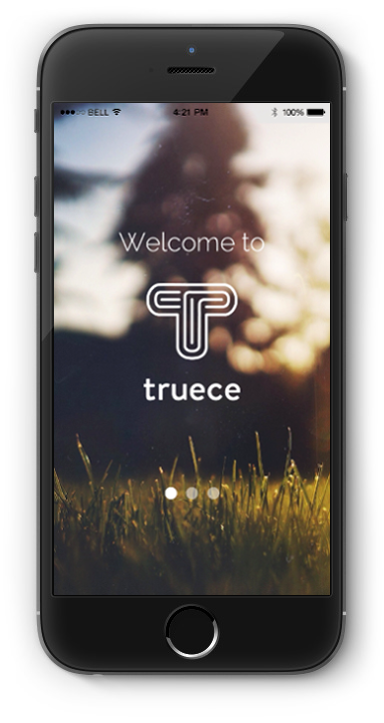 We created Truece because we had a need for it, and in many ways Truece is a collaborative vision. We all brought our own learning or experience into the mix, and we look forward to collaborating with customers in our upcoming Beta to make it even more useful in all types of divorce situations. was when I was sitting in our designated coffee shop parking lot waiting for my children’s mom to arrive. As was the recent pattern, she was 15 minutes late. I assumed she was doing this to annoy me. We were now in the middle of another court battle, and this behavior had been a pattern lately. My frustration was at an all-time high and I felt helpless. Our communication had broken down and become contentious. My ex-spouse was trying to rewrite rules, and I had finally reached my limit. I realized that there was nothing that I could do to enforce our court ordered timeliness and I had no tools at my immediate disposal to document her usual tardiness. I started daydreaming about having an app on my phone that could capture this moment on the fly, time stamp it, and have it auto-recorded. I wanted to be able to run a report showing all the times that this had happened that I could send off to my attorney. I thought it would be great if I could just snap a picture of her showing up late and have it timestamped. I was shocked to find out that there was nothing out there for me. How could that be?! With divorce statistics being what they are, with maybe half of divorced adults having kids…how could there not be anything out there that would give me the ability to record this moment in the parking lot. I would love to say that I am mature enough to never have had a heated exchange in front of my children, but that’s not the case. During this particular transition, my ex and I argued in front of my youngest daughter, and as expected I saw that my daughter was crying. When I saw her crying, it devastated me, and I knew that I could never let it happen again. I had to build an app that would allow for controlled, safe communication. The more I talked to people who had been through or were going through divorce, the more I realized I wasn’t alone in the needs I had. People were really struggling with how to manage and navigate their divorce. Recently, I was talking to a fellow divorced single dad, and he was explaining to me how his daughter’s mother, delivered his 7 year old to his house without shoes every week. She did this because she wanted to make sure that the shoes she paid for didn’t get dirty at her Dad’s house. Does anybody know how much it rains in the Northwest? No shoes?! He went on to tell me all the other areas they were having issues and that he wished he had a way to record his frustration. from both single moms and dads illustrating the need for tools at their fingertips. They want an app that they can use that will have their back, keep track of their communication and doesn’t require participation from their ex. This isn’t about deadbeat Moms or Dads. This is about anger, fear, and probably most importantly hurt. My attorney once told me that the difference between a divorce attorney and criminal attorney is that a criminal attorney deals with bad people doing bad things. A divorce attorney deals with good people who in their weakness and time of hurt, do bad things. Almost always, the children are the ones who suffer. There are no winners in broken families. At Truece, our goal is to provide practical and convenient tools to deal with the every day challenges of divorce and life after divorce. Beyond helping you manage communication and organization, we advocate for a productive divorce. What is a productive divorce you might ask? To us, it’s a divorce that sets up both parties for moving on with their lives. It’s fair and collaborative. But most importantly it protects you, and it protects your kids. As long as you both have kids, you will have to communicate and interact. Your family unit, whether you like it or not will include your ex-spouse and his or her future partner. We can help you manage through the complications. Divorce and separation bring up a lot of emotions. Feeling vulnerable is an unfortunate side effect of the divorce process, and it’s one of the toughest to shake. We are here to help you feel safer, and more protected. When you feel secure, you are going to be in a better frame of mind for dealing with your ex, productively. Divorce doesn’t have to be a tragic ending – it can be a new beginning, and we want to be there to help you move forward.